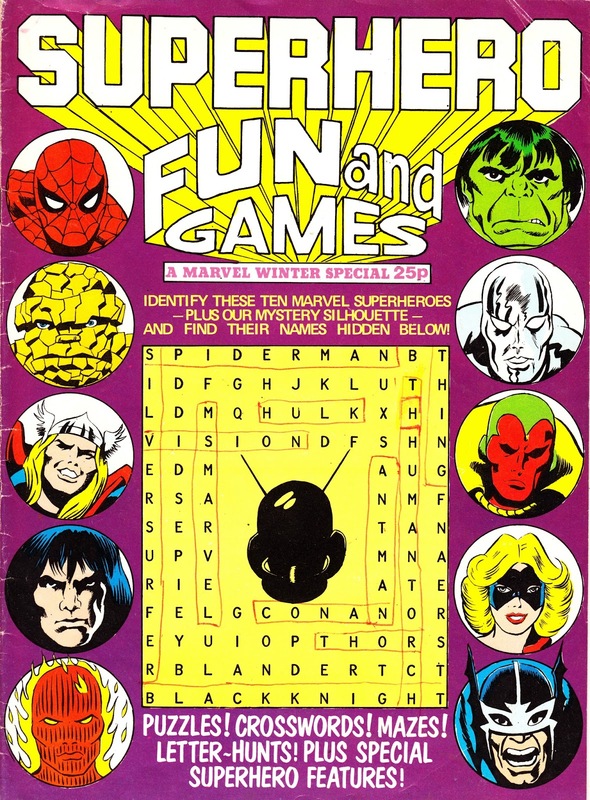 This is a (slightly defaced) copy of MARVEL UK's SUPERHERO FUN AND GAMES WINTER SPECIAL from 1979. The formula, which led to a similar monthly series, was a puzzle-book-for-kids with (as the cover boasts) Marvel-themed variations of all the old standbys. Presumably because they were designed to be used, and held less interest to connoisseurs of comic strips, this (and the regular series) are harder to track down than their contemporaries.